Are there any reliable asset classes for investors amid market volatility? There might not be a definitive answer to this question, but there are certainly key themes and patterns for investors to be across as they search for yield and stability in the current economic climate. Depending on their asset allocation, retirement investors have spent the last 12 months gloating, fretting, or in denial – or all of the above. 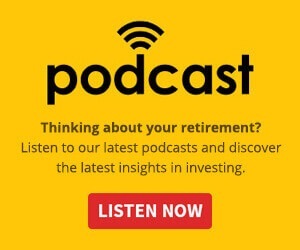 For the typical SMSF investor, invested predominantly in Australian equities and cash, it’s been a torrid mix of volatility, low returns on cash, and uncertain outcomes and, for most, unpleasant. 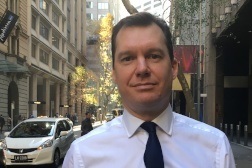 Consider that from the ASX 200 high in March 2015 through the bottom of the market in February 2016, the ASX 200 index fell more than 20 per cent. The ASX Top 20 recorded a decline of over 25 in the same period – hardly comforting when the supposedly defensive and highest-quality equities are more volatile than the broader index. However, despite the rally from the February lows, trustees really need to ask if they are ready for the likely return of volatility, and if their fund assets are up to the task when it does. Number one, the high-wire balancing act that has dominated global markets since the GFC continues as it has previously. Central bank action will continue to have far reaching implications for markets. The US Fed tells us to expect interest rates to rise twice this year, the RBA is expected by markets to cut at least once more, and the freakish experiment of negative interest rates in large economies like Japan will continue to buffer markets as countries attempt to engineer inflation in their economies. These tectonic plates of policy adjustment will continue to move markets during the year. Number two, the political pendulum is unstuck both in Britain and the US and these will significantly affect sentiment in the lead-up to outcomes this year. As I type the odds of Britain remaining in the EU and Clinton winning the White House are both short. But as the events draw closer, expect those odds to blow out as uncertainty of outcome is likely to increase. Number three, China, emerging markets’ and commodities’ effect on markets is in a circular relationship with the US dollar, which is implicitly linked to the first point on central banks’ actions. So broadly, all familiar stories, and all lead to the same outcome – volatility. The expected impact of all these things is already baked into prices, and people to continue to expect the worst – normally a reliable contrarian indicator. Economic growth is modest but nonetheless positive, company earnings expectations are low and guidance is now upwards, and there is an inbuilt ‘put option’ from potential central bank action if markets become messy. Be greedy when others are fearful, as Warren Buffet would suggest. On balance though, both the bull and bear case will entail volatility in both directions in 2016 as markets recalibrate, and there will be terrific opportunities to produce favourable returns. Reviewing our list of alternatives by asset class, perhaps cash is the answer. Since we expect volatility, should we remain heavily exposed to the lowest risk of the asset classes? That could be reasonable, however – what if the bull case prevails, volatility abates and you’re stuck with a term deposit yield in the two per cent range? What if the markets rallied as very few expect – you’d spend forever chasing asset higher prices with a heavy case of fear or missing out and constantly justifying no action on an ‘expensive’ market. Australian equities? – Within the ASX 200 there are plenty of examples of eye-watering yield from some of the most over-managed, scrutinised and normally reliable businesses in the world. But if volatility re-emerges, or interest rates rise quickly in the US, watch out – yield will struggle again. International equities? – After a stellar couple of years on the back of central bank-fuelled rallies and an Aussie dollar that only ever seemed to go down – has the dream come to an end? In our view, it’s on hold for now, but big opportunities will emerge once the dust settles on the volatility and the tsunami of central bank cash that exists gets brave and seeks returns. Bonds and fixed income? – This leaves us with the grand-daddy of the markets, bonds and fixed income. Interest rates are expected to continue to go down in Australia and just about everywhere except the US for the foreseeable future, reducing yields but increasing bond prices. Normally a bellwether low volatility asset, it could be anything but, should the cocktail of negative interest rates and the US raising rates go wrong. For now, it’s underweight but important to hold until a deterioration appears in markets. In 2016 it will be challenging to generate a return and at the same time avoid volatility in any asset class; however, it’s impossible to know when better conditions will prevail despite expectations. There is nothing worse than being uninvested and missing out entirely on what were subsequently ‘obviously’ improved conditions. We think a slightly underweight exposure to most asset classes is appropriate. We are advising our clients to continue to be slightly underweight high-quality, high-yield local and international equities. We are also slightly underweight highly rated quality corporate and sovereign fixed income, and are slightly overweight cash until volatility reduces. For those familiar with more esoteric investment themes, alternatives and relative return funds should also do well. Tactically, we work this by being agile, buying at lower prices and selling at higher prices – it’s an environment where being ready to act is imperative. Lastly – when might volatility return? The bulls would be delighted to point out that in 2016 the 10-year seasonal chart of the ASX 200 and S&P 500 shown has regained ground to perform roughly in line with the trend of previous years of returns despite the difficult start to the year. The bears would point out that there is a clear pattern of market weakness in May. In reality, nobody knows – key will be to be on top of your portfolio and ready to act, there will be plenty of good opportunities as the year plays out, but cash alone is simply not going to cut it.